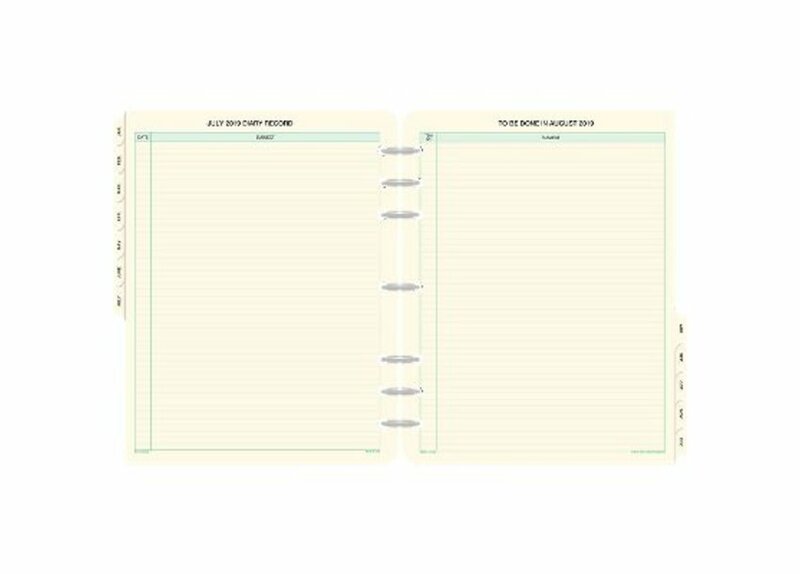 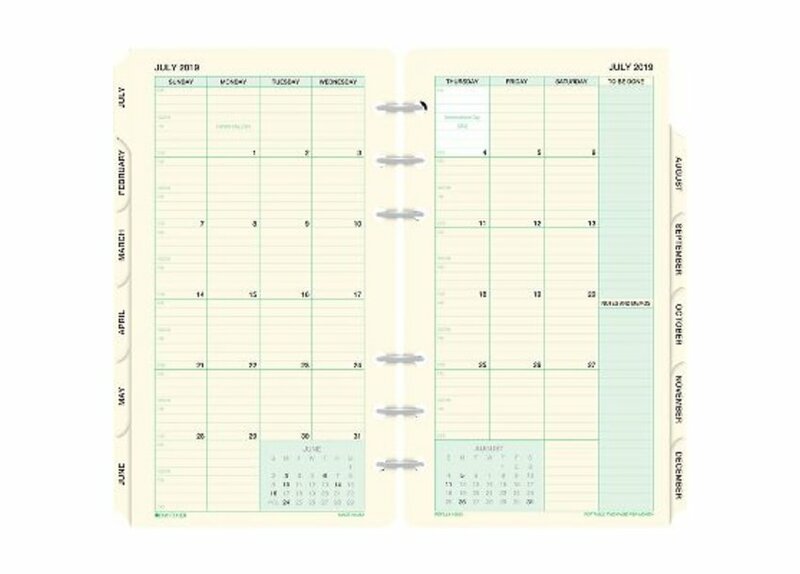 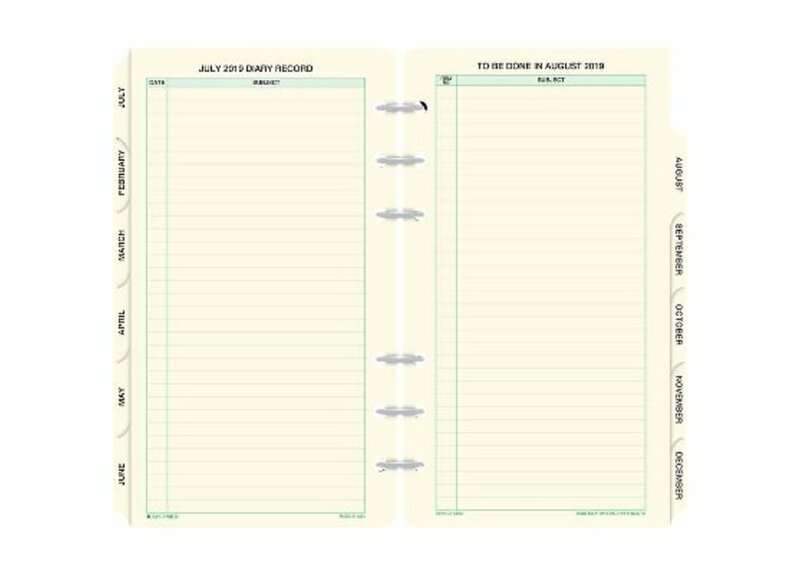 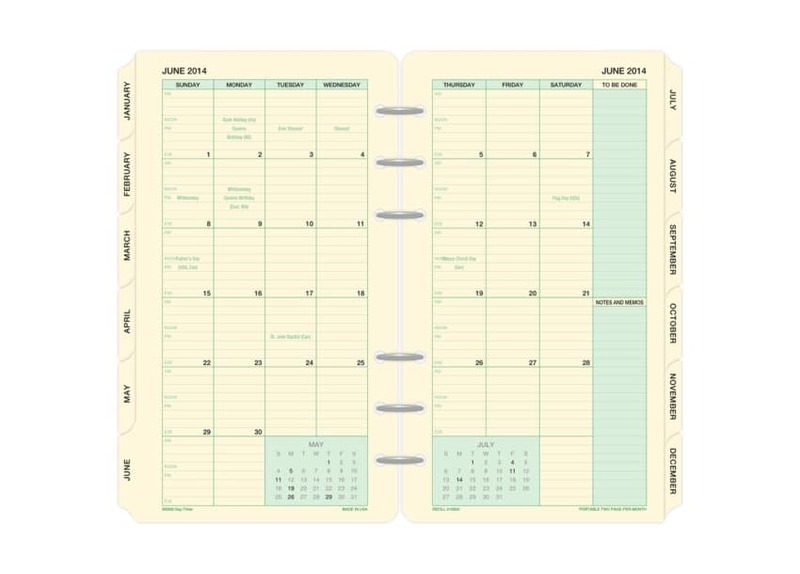 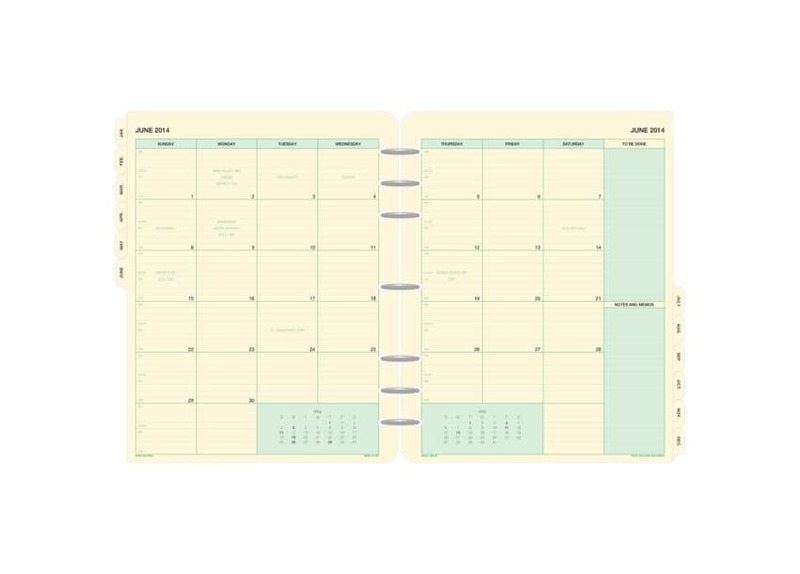 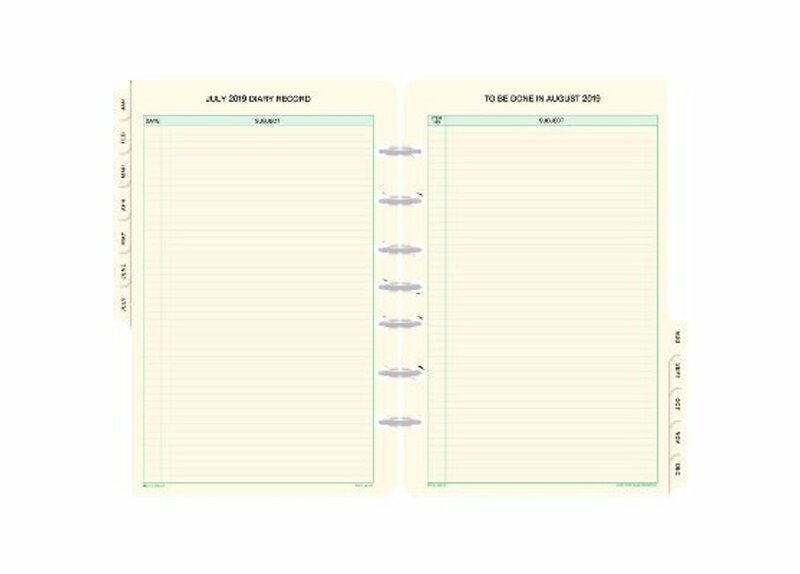 This top-seller gives you twice as much room as the standard monthly calendars that come with our refills. 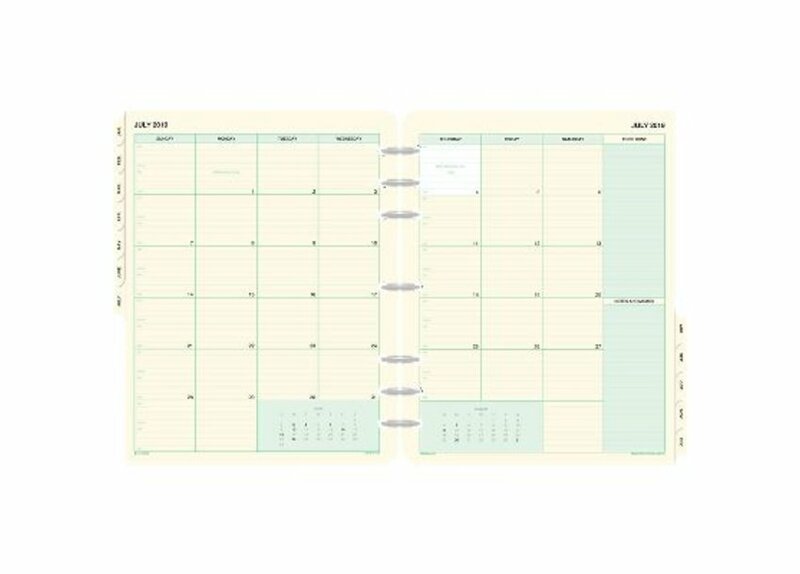 View each month on a two-page spread, with a quick-reference to-do list at right. 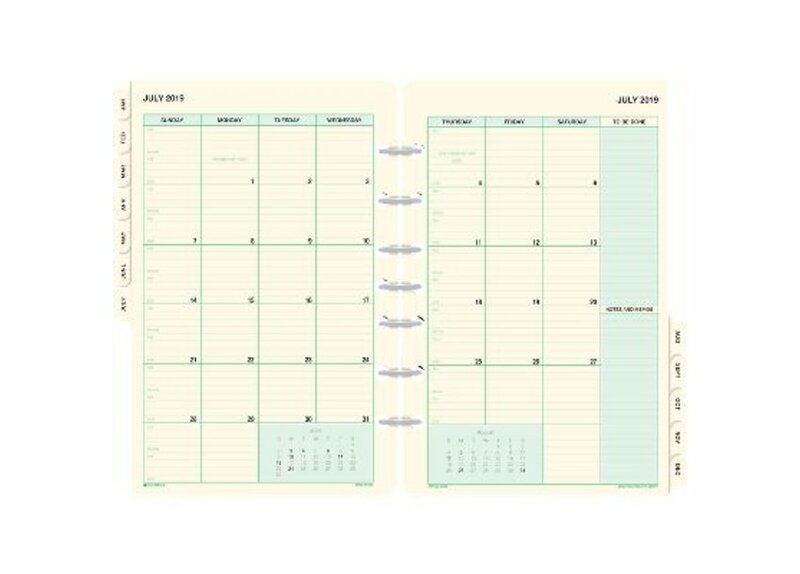 Weeks start with Sunday, and each day gets a full space. 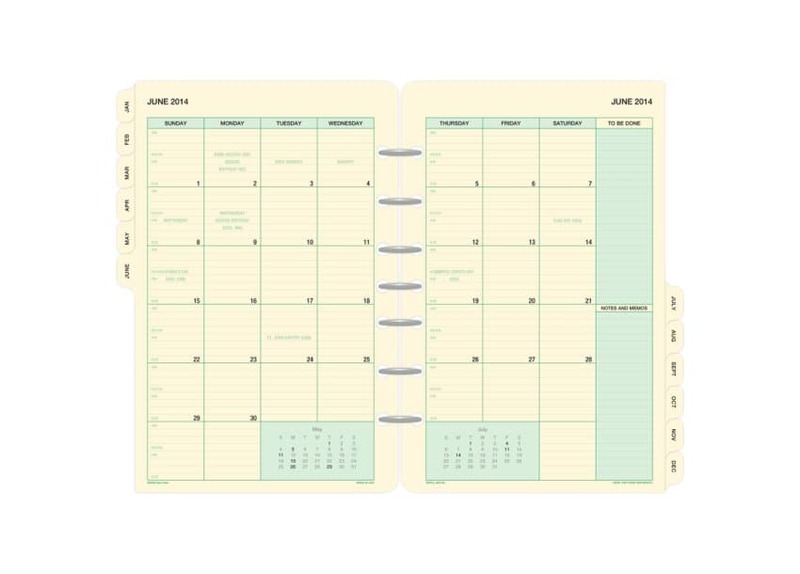 Monthly tabs help you locate each calendar instantly.